It's that time of the month again... that is, it's time for another Lacquer Legion inspired mani! This month's theme was 'adoration'. To me, this meant something that you just can't take your eyes off of. Something that fills you with happy feelings and gives you a sense of awe. The thing that fit this idea perfectly for me was fireworks. I love these displays of glitter in the sky. For my mani I used Morgan Taylor Under the stars as the background. 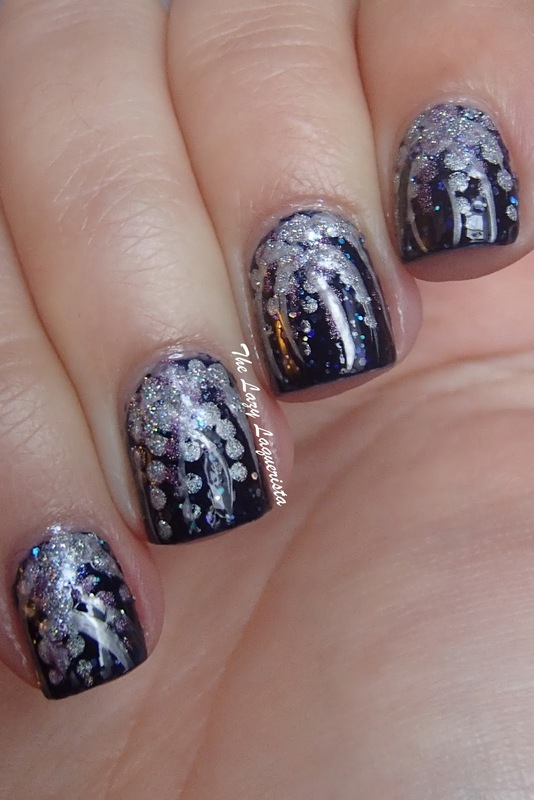 Then I used my Nubar silver striper to make the whisps of the fireworks. I dotted A-England Encore Margot and Nubar Treasure to add more 'arms' to the fireworks. 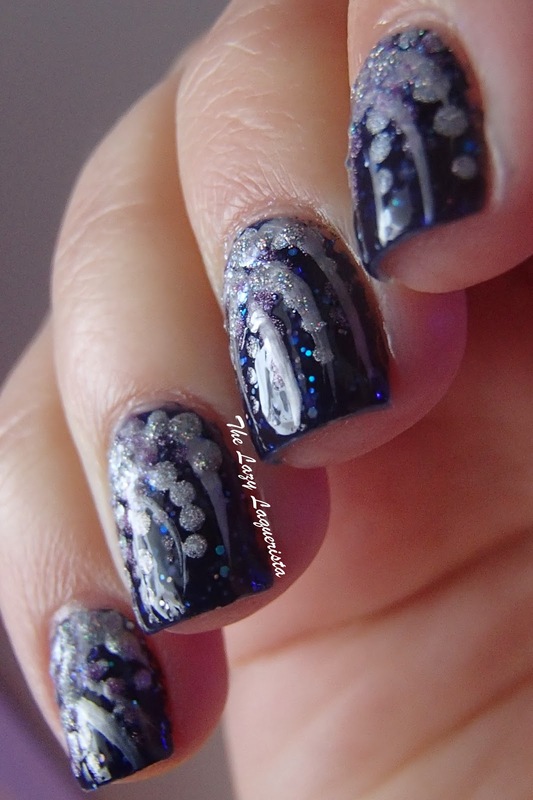 Finally I layered some Emerald & Ash Moonlit Snow and China Glaze Glistening snow in the center of firework to add some extra shimmer and sparkle. This was the final result. If you want to join in the fun follow The Lacquer Legion on facebook to find out what next month's theme will be.